Richmond Hill, Vaughan, Markham, North York - Lessons at Your Home! Eli Karpinsky is an astounding pianist and piano teacher who lives in Thornhill, Ontario. Eli has taught in a music school as well as private piano lessons, teaching children and adults alike. Using a more personal approach to teaching, Eli prepares students for RCM Examinations, concerts, and competitions, and further expands students’ musical knowledge. By travelling home to home, Eli helps students feel more comfortable in their own home, leading to better and more positive lessons. Eli participated in various Canadian music competitions: CMC, North York, Kiwanis, Richmond Hill, Scarborough and Markham festivals, where he received numerous awards and scholarships. In September 2005, Eli was invited to the Tchaikovsky Conservatory of Music in Moscow, Russia, where he played a short recital. In 2006, Eli received the “Most Promising Trophy” at the “Euromusic” MMF Festival and then became a National Finalist in the Canadian Music Competition (CMC). April 25, 2010: Eli plays Allegro Molto Moderato from the Piano Concerto in A minor, Op.16 by Edvard Grieg. Together with the winners of the Violin Concerto competition, Nicole Li and Sarah Velasco, Eli performed with Kindred Spirits Orchestra at the North York Music Festival Winners’ Concerto hosted by Alexa Petrenko (Classical 96.3FM). In January 2007, Eli Karpinsky received the Rotary Club’s “Most Well-rounded Musician” award. In April 2007, Eli has attained a standing of First Place in the Markham Music Festival’s Age Achievement competition. The adjudicator, Mr. John Graham gave Eli the Artistic Distinction mark and mentioned excellent technical command, tonal balance, melodic design and Eli’s ability to capture the character and individuality of each piece. In 2008, Eli successfully passed the Royal Conservatory of Music’s Grade 10 piano examinations. In the same year, Eli was accepted to the International Academy of Music, (New York — Italy), where he was studying with Professor Oxana Yablonskaya. Eli received three Gold Awards at the 2009 Kiwanis Music Festival of Greater Toronto and was awarded the Kiwanis Club scholarship in the Intermediate piano category. Later in 2009, Eli won the “Euromusic” Festival’s Piano Concerto Trophy and also became a winner of the Buono and Bradshaw International Piano Competition in New York. In 2010, Eli won three first places at the North York Music Festival, including Gold standing at the Concerto Competition. As well as teaching, Eli also offers professional accompaniment services. Available on short notice. Experience with accompanying violin, cello, flute, chamber, orchestra, vocal, RCM exams, and university auditions. 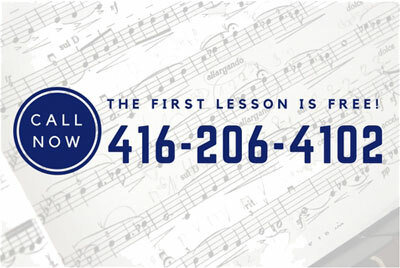 If you or anyone you know is interested in a COMPLIMENTARY first piano lesson, please call Eli at 416 206 4102 to book now!